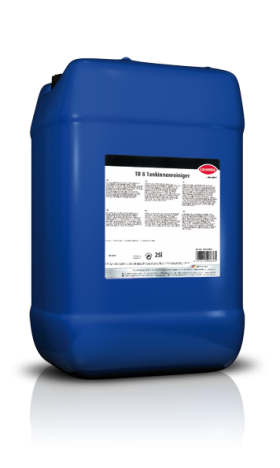 Strongly alkaline, low-foaming intensive cleaner for the removal of residues from hardened or very adhesive polymer dispersions and latex from tanks and silo vehicles. 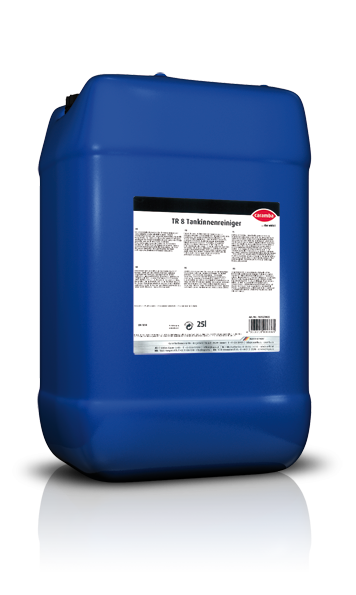 TR 8 is processed manually as a general rule: Apply undiluted using a brush or by spraying. Allow it to react for at least 15 minutes. For minor soiling, TR 8 can be used diluted 1:5 with water (hot if possible). Rinse with high-pressure washer and hot water afterwards. Introduce TR 8 diluted with water via the spray head into the tank. After-rinse with clear water.